If you can't choose just one nut, why not try a mix? Our mixes are custom made to maximize flavor. We don't have a mix that is too heavy on the less expensive nuts, we give you a mix of macadamias, cashews, pecans, almonds and Brazil nuts. We offer our mixes, in regular, salted, and savory varieties. 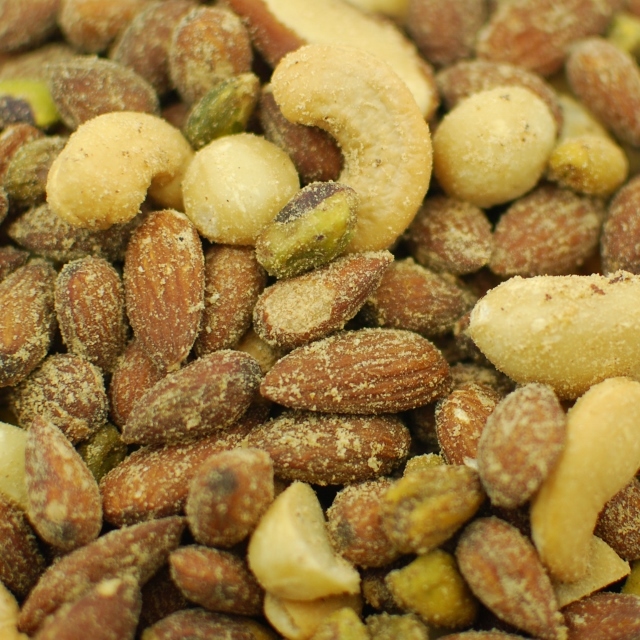 Mixed nuts are a great snack for people on the go, they have lots of calories that satisfy hunger cravings. We also recommend mixed nuts as an easy appetizer for parties.